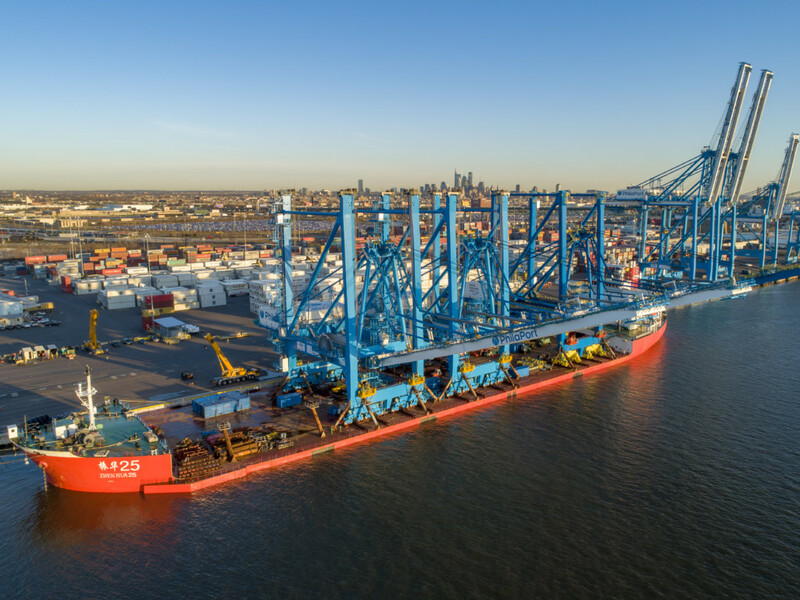 PhilaPort received two more super post-Panamax cranes early this morning to the Packer Avenue Marine Terminal. After an overnight transit up the Delaware River, the cranes arrived seamlessly approximately 3:45 A.M. 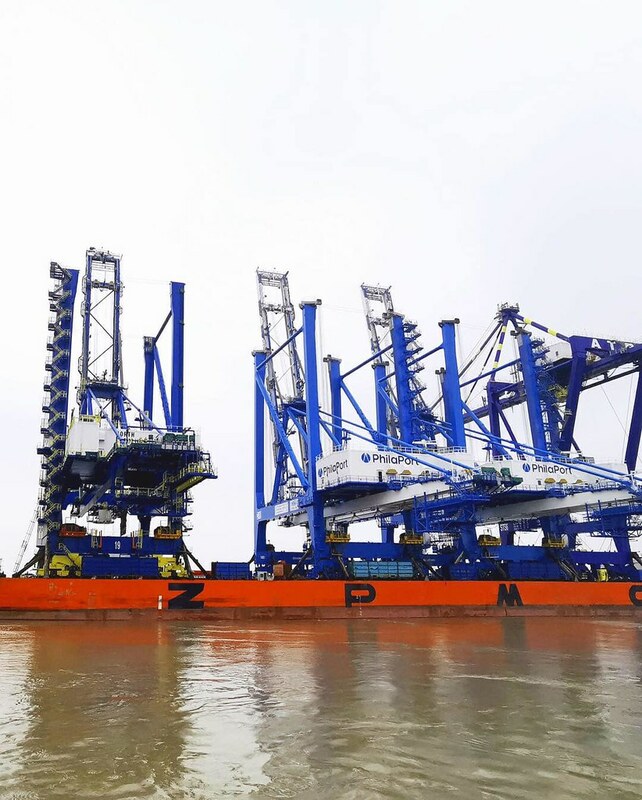 The cranes are identical to the two that arrived at the Port last year – with a fifth crane due to arrive in this summer. The cranes where manufactured by Shanghai Zhenhua Heavy Industries (ZPMC). ZPMC is the largest heavy-duty equipment manufacturer in the world and delivers more than 200 cranes every year around the world, including many seaports in the U.S. No container cranes currently are manufactured in the U.S. Follow us on social media for updates #PhilaPortCranes.